Customers are the source of real growth. We combine in-depth customer insights with practical expertise in operations and economics to help our clients create sustainable, organic growth. By examining your company and developing potential strategies, we can ensure continuity or expansion in operations. It can involve outlining goals for your business and creating achievable standards by which success can be measured. One of the most important tools for strategic management is the development of a business plan, which is a blueprint of your organisation and how you expect to meet your customers’ needs and perform financially. Strategic management can be internally focused by examining your company’s operations and externally focused by examining how your company competes in the market. 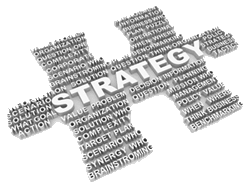 Strategy must be understood, planned and then implemented. 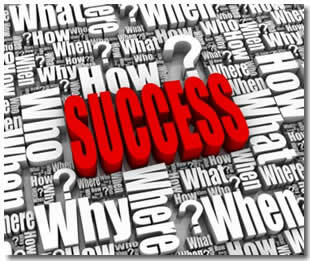 It must identify what your business has to do now and in the future to be successful, and qualify what success means. Whilst driven at senior management level, to be successful, strategy must be owned by all decision makers throughout your business. Marketing management involves examining the market and specific consumer groups, and developing initiatives to demonstrate how your company meets their needs. A main component of it is research, which can involve clearly defining your target market and asking them how you can serve them better. Marketing management can also be used to highlight the competition and design ways to take advantage of opportunities in the marketplace. Finally, it can be used to identify potential new markets and determine how to sell to new customer segments. We also firmly believe that development of strategy should be fun and considerable expertise is required to achieve this balance through the use of strategic tools which significantly distinguish your business from others. Customer Experience. Deliver a customer experience that your competitors can't match. Customer Loyalty. Through winning strategies, we help you to inspire loyalty and achieve growth. Customer Insights. By putting social media to work in a professional way, we help you gain real economic value from your customers’ investments.